BELIZE CITY–A Belize City resident of Plues Street was remanded to the Belize Central Prison after he appeared before Chief Magistrate Ann Marie Smith to answer to one count of aggravated assault with a firearm, for a shooting incident that occurred earlier this month on San Pedro. Jason “Killa” Gillett, 28, who police believe is an associate of the George Street Gang, pleaded not guilty to the one count of aggravated assault with a firearm against Germaine Zuniga. 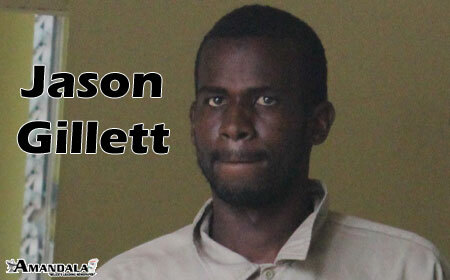 Since offenses involving a firearm trigger an automatic remand to prison, Gillett was remanded until his next court appearance date on October 7, 2014. According to police, Gillett was the person who fired four shots at San Pedro resident Germaine Zuniga. Zuniga reported to police that on August 18, around 7:55 p.m., he was riding his bicycle in the San Mateo area of the island when Gillett fired at him. Zuniga was not hit by any of the shots fired at him from a chrome-colored .9mm handgun that he told police he saw in the hand of Gillett, a man with whom he had an ‘old beef’.